Ich brauchte kürzlich ein schnelles Genesungskärtchen, für das ich mich farblich an der aktuellen Challenge bei Tag You're It orientiert habe. Leider waren die Lichtbedigungen beim Fotografieren denkbar ungünstig, sodass v.a. das erste Bild etwas farbstichig ist. Sorry dafür! Recently I needed a quick get well card and I followed the colors used in the inspirational project for the current challenge at Tag You're It to make it. Unfortunately the light conditions were not good so that especially the first image has a slight color cast. I'm sorry for that. 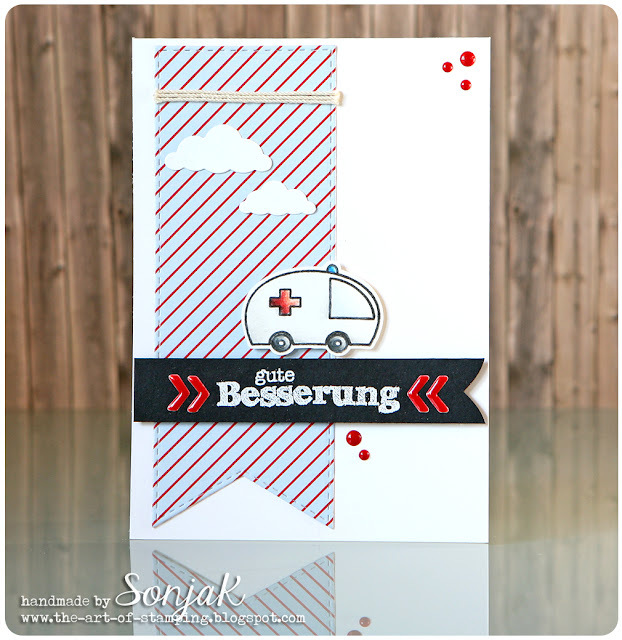 Der Krankenwagen stammt aus dem "Whimsical Wheels"-Set von Create A Smile Stamps, das gerade im Ausverkauf ist. Darin gibt es viele süße Fahrzeugstempel, die v.a. auch für Männer- und Jungskarten ideal sind. Wenn ihr auch Interesse daran habt, solltet ihr euch sputen, bevor es nicht mehr erhältlich ist. 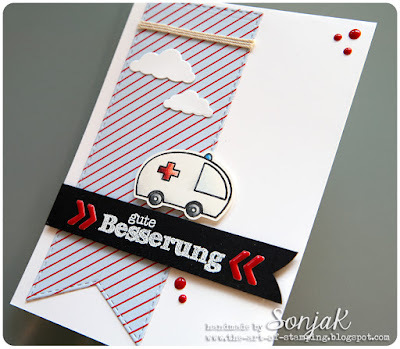 Ich habe den Krankenwagen aus dem Set mit Prismacolor-Stiften koloriert und mit Motivpapier und kleinen Enamel Dots aus dem (leider schon nicht mehr erhältlichen) "Snowdance Kit" kombiniert. Der Grußtext stammt aus einem Set der Stempelküche. The ambulance is from Create A Smile Stamps' "Whimiscal Wheels" set which includes lots of cute vehicles that are ideal for male cards as well. Unfortunately it's being discontinued so if you want to grab it, you should hurry. I colored the ambulance from the set with Prismacolor pencils and combined it with patterned paper and enamel dots form the (no longer available) "Snowdance Kit". The German greeting reads "get well" and is by Stempelküche. Stempel | stamps: Create A Smile Stamps "Whimsical Wheels", Stempelküche "Blablabla"
Papier | cardstock: Hahnemühle "Nostalgie", Stampin' Up "Flüsterweiß"
Motivpapier | patterned paper: Create A Smile Stamps "Snowdance Kit"
Stanzen | dies: My Favorite Things "Stitched Fishtail Flags", Memory Box "Puffy Clouds"
Great card design and colouring! 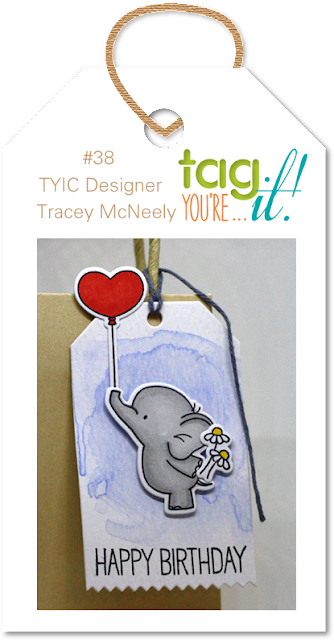 Thanks for sharing your card at the Tag You're it! challenge. 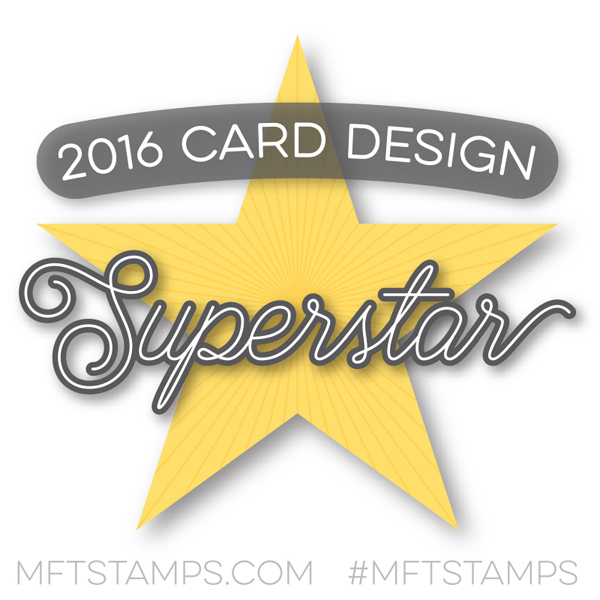 Love this card, too! Great colors! 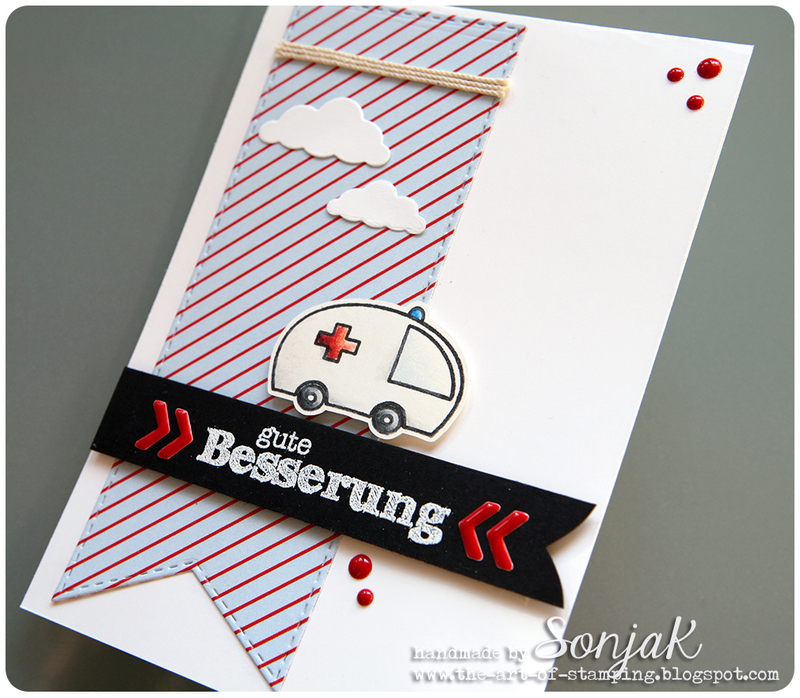 Oh how cute is that little ambulance, Sonja. Thanks for joining us at ATSM. Fun, thanks for joining us at Tag You're It Challenge. Wow great card lovely colorcombo. Thanks for joining us over at Tag You're It.